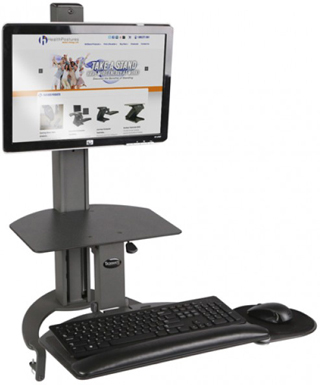 Effortlessly move from a sitting to a standing position with the sit to stand TaskMate Go from HealthPostures. Improve productivity and comfort while at work and have the freedom to move whenever you like. 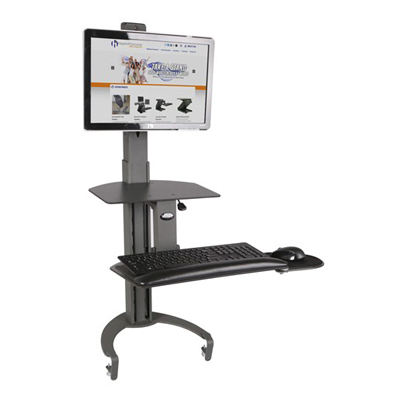 The TaskMate Go is a high-quality sit to stand workstation that will help provide energy for a healthier way to work. 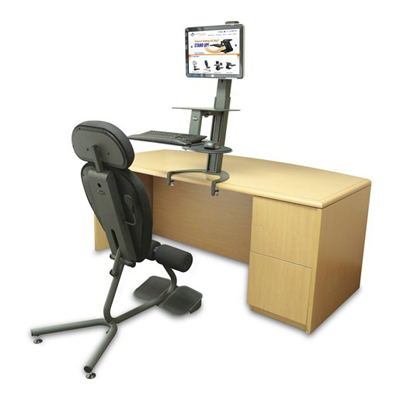 The NEW Taskmate Go from Healthpostures is a sleek cost effective way to enjoy a healthy energetic work-style. Just clamp the Taskmate Go to your existing work surface and mount your computer monitor. A simple squeeze of the conveniently placed lever is all you need to move your monitor, keyboard, mouse and other items into a comfortable standing position. 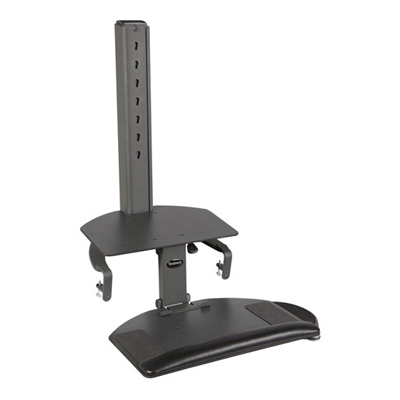 Releasing the lever at the desired height causes the unit to lock into place, giving you a sturdy, height-adjustable computer work station. -Affordable organizer helps you bring your most used office supplies with you while you move throughout your workday. 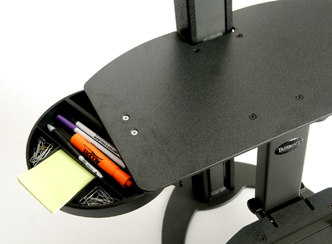 -Conveniently rotates underneath TaskMate Go table top when closed.